For the Free portion of Free Comic Book Day, I’ll be giving away BRAND NEW minicomic copies of Mappin’ the Floor, my oceanographic travelogue from a Pacific Ocean crossing with R/V Falkor and the Schmidt Ocean Institute! Supplies are limited, so these puppies will be first come, first serve. 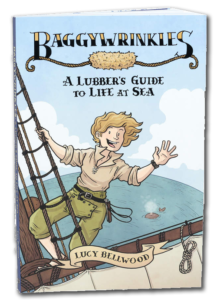 I’ll also have copies of Baggywrinkles, A Life in Objects, and various adventurous travelogues for sale, plus my trusty squeaky shark for your squeaking pleasure. I hope to see you there! It should be a rollicking good time. As you can probably see above, I’ll be hitting tour stops in Portland, Mystic, Boston, DC, New York, and Ann Arbor over the next couple weeks. Some conventions, some book stores, some comic shops, and some MARITIME MUSEUMS (oh yes). It’s going to be a wild and crazy adventure and I really can’t wait to get out to see some maritime history and meet all you East Coast pals who I never get to hang out with! Bank Square Books event listing in Mystic, CT.
USS Constitution Museum in Boston, MA. I’ll be doing a reading in the Discovery Center at 1:30, then signing in the gift store from 2:30 till 4:30. More details here, Facebook event here. South Street Seaport Museum in New York, Facebook event here. Ann Arbor Comic Arts Festival (A2CAF, formerly Kids Read Comics!) details. 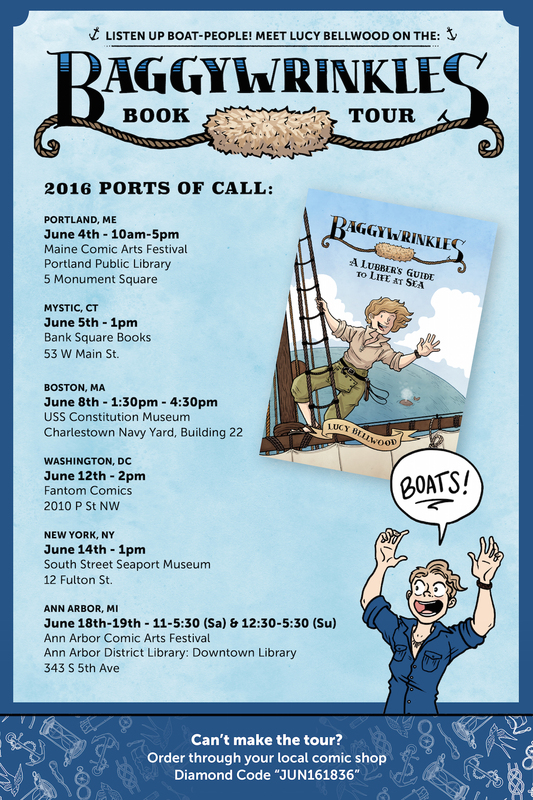 I’ll be bringing copies of Baggywrinkles: a Lubber’s Guide to Life at Sea to all these locations (not to mention postcards and other treats), and would love to sell you a copy/talk about boats/draw in whatever you have handy. Not in the area? 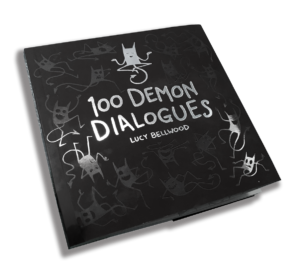 Still keen to pick up a copy of the book? Here’s a handy graphic you can convey to your local comic shop or book store to pre-order a copy. 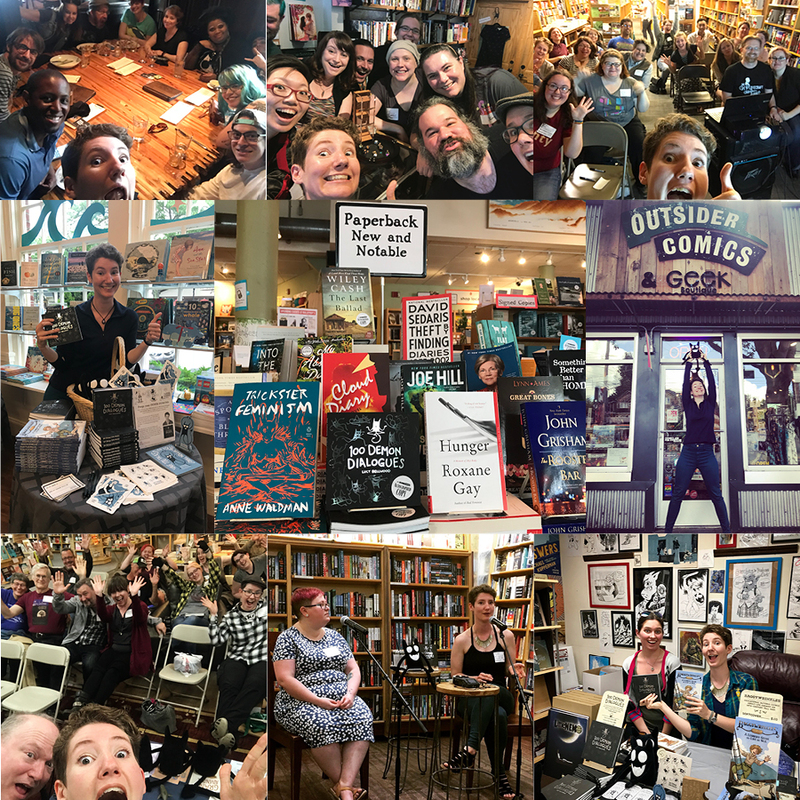 I’ll be posting tour stop updates to Twitter all throughout the trip, so keep an eye out there if you’d like to help spread the word about upcoming events! Big week, friends! While I’m still away doing Boat Stuff in Boston, my five-strip guest arc for Danielle Corsetto’s delightful series Girls with Slingshots begins running TODAY. 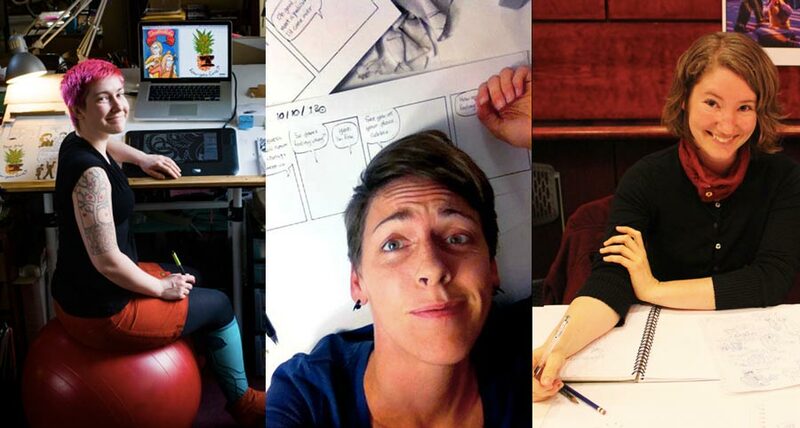 Check back on the GWS site each day this week to follow Hazel and Jamie in their quest for reasonable underwear. I promise it will be a thrilling ride. I’m also selling the original inked artwork from these five strips over in my store, so give ’em a look if you’ve been in the market for some Lucy Bellwood originals. And if you want to come see myself, Danielle, and Erika Moen in the flesh, we’ll be doing an event at Bridge City Comics in Portland this Saturday from 6pm – 9pm. I’m honored to get to sign alongside these rockstar dames, and Bridge City is one of my favorite comic shops in town, so get’cherself over there and say hello! Here’s what we all look like in case you feel alarmed or confused. Enjoy the guest arc and I hope to see some of you on Saturday when I’m back from the East Coast! 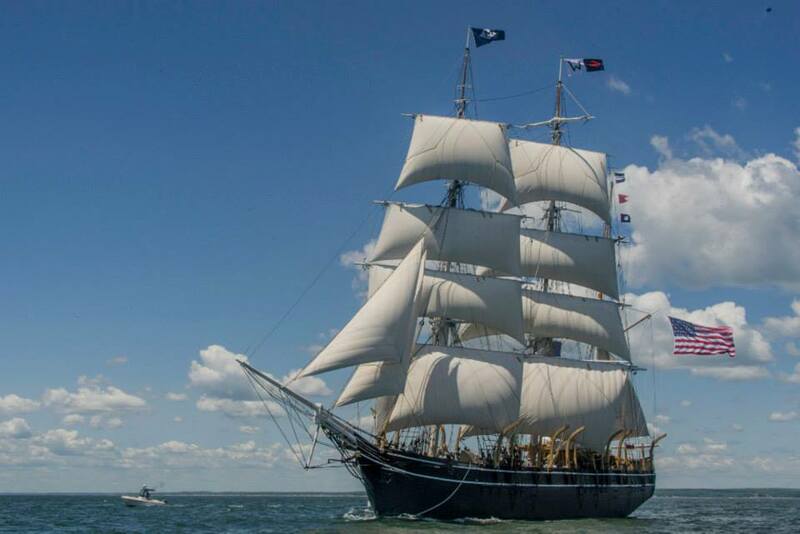 I’m departing for Boston this evening for a week of historical research and sailing aboard the Charles W. Morgan, an original 1840s wooden whaling ship. If you have no idea what I’m talking about, feel free to refresh your memory with this post. I’ve got some fun stuff scheduled for the blog while I’m away, so stay tuned for news and thrilling events that will autopost in my absence. I’ll also do my best to update from the road — or water, as it were. 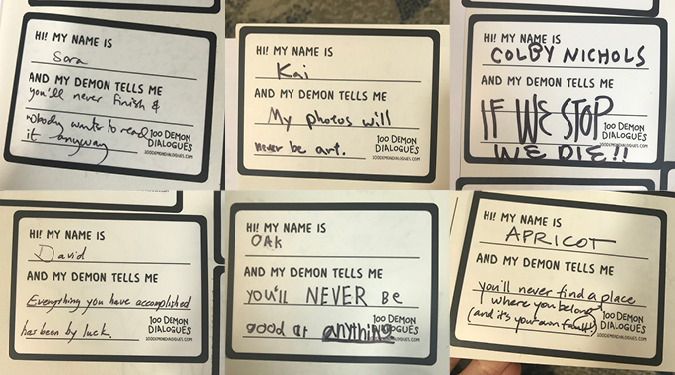 In addition: I would also love to see any and all of you in the Boston area at Trident Booksellers and Cafe, where I’ll be doing a reading/signing on July 14th at 7pm. This is my first solo signing event, and I’m really excited to meet all my East Coast boat comics people. Here’s a link to Trident’s site with some more info, plus a Facebook event where you can invite your friends. See you on the other side, pals!